Mobile is now the prevailing platform through which people access the internet. And health is one of the most heavily consumed categories of information through a mobile device. This combination points to the significance of planning healthcare marketing strategies optimized for smartphones and tablets. The following is an overview of some of the most important ways that mobile has influenced healthcare marketing, along with insights on what these factors mean for your practice. A responsive website optimized for the mobile experience is the starting point for a strong mobile marketing plan in healthcare. Patients typically begin their journey for health information and access elsewhere, but they most often select a provider and arrange a visit only after reviewing your site. Offer a clean website appearance, easy navigation, strong content and efficient appointment-scheduling. For established patients, an online portal that gives your patients access to their health history, providers, medications and more is beneficial to retention. While search engines and social media are accessible through traditional desktops, mobile devices dominate their use for health discovery. The majority of online investigations into conditions and treatment start with a query in a search engine via mobile. Thus, your practice needs to apply SEO strategies that lead to strong results placement on mobile searches. Social media apps, such as Facebook and Twitter, are used by patients to interact with others and receive input on providers. A presence on these channels allows your business to engage its audience. There is some value to advertising on mobile, but consumers first and foremost want deep, insightful content related to their health concerns. Thus, a blog and articles that answer the questions people search on a mobile device help you attract people in a way that they prefer. Preparing content that is properly formatted and easy to consume on a smartphone or tablet should be a key to your marketing strategy. Create posts related to the common questions your targeted patients have when they search. 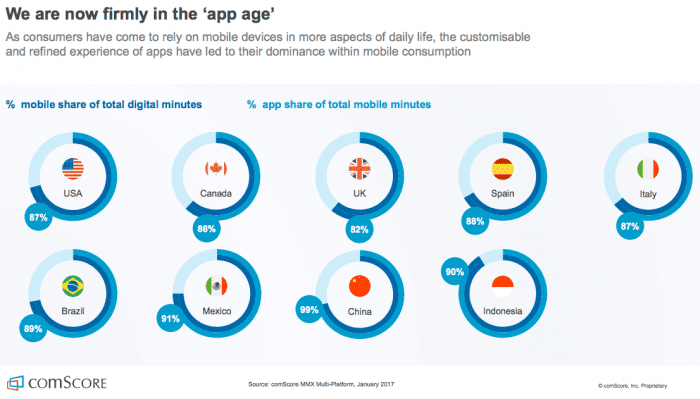 Nearly 90 percent of the typical global user’s time spent on a mobile device is spent in apps. This data points to the value of offering potential and existing patients access to virtual healthcare opportunities through a mobile app. As an example, some hospitals offer emergency medical information, resources and services that are quickly accessed by people in trouble via an app. You could also create an app solely dedicated to patient care management, which simplifies the process of a patient acquiring information on their medical condition and gives them efficient access to interact with care providers. It is clear that smartphones and tablets play a vital role in connecting patients to doctors and facilitates. Your practice should leverage these opportunities in mobile healthcare marketing to attract and retain patients in a competitive industry. As a dedicated healthcare marketing agency, Response Mine Health can help you properly integrate mobile into your strategy; let us help you grow your business today!